Sts. have to write a short paragraph about Pimboli.They have to use verb "to be" and Present simple. 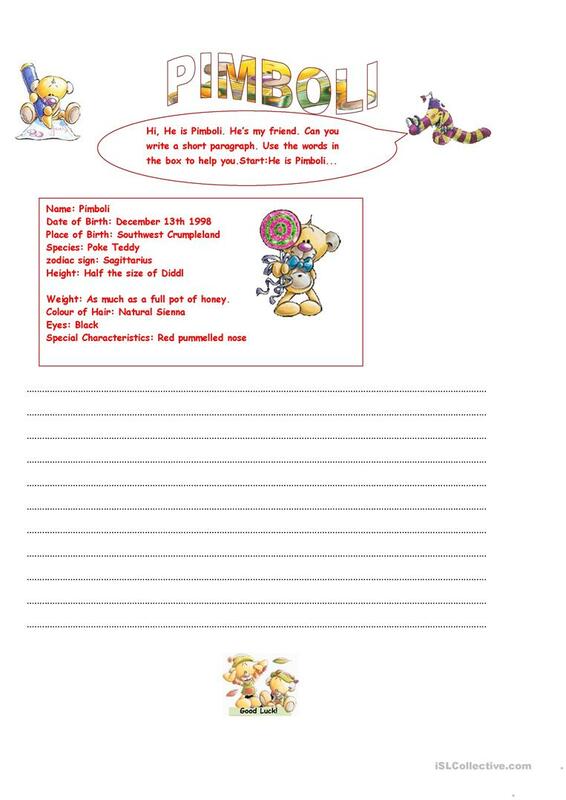 The purpose of this ws is to review place prepositions and physical description.Sts can write about a friend too. This downloadable printable is best suited for elementary school students and students with special educational needs, learning difficulties, e.g. dyslexia at Beginner (pre-A1) and Elementary (A1) level. It was designed for strengthening your pupils' Speaking and Writing skills.